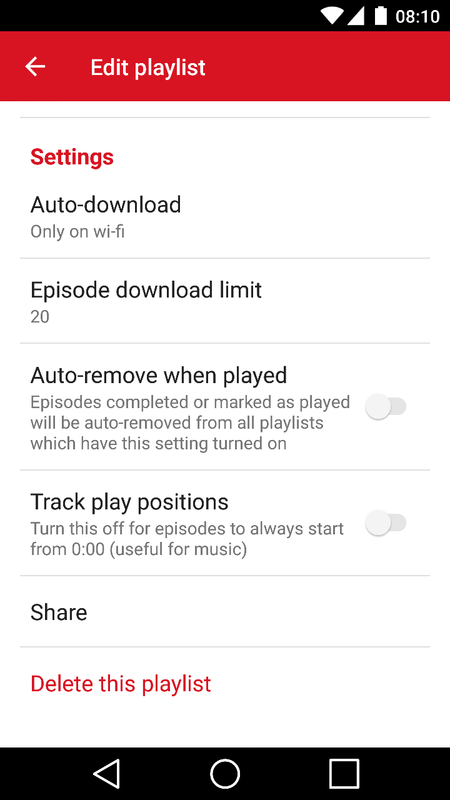 Organize your favorite shows into multiple playlists. 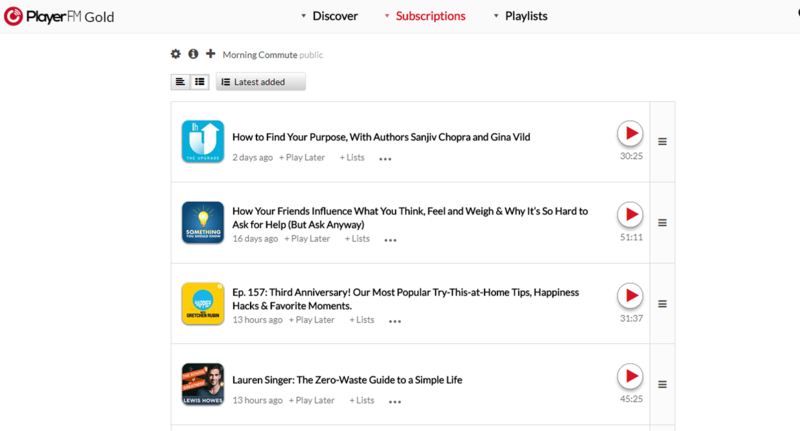 You could make playlists for different moods or content types, e.g. Comedy, Morning commute, and Sleepytime. 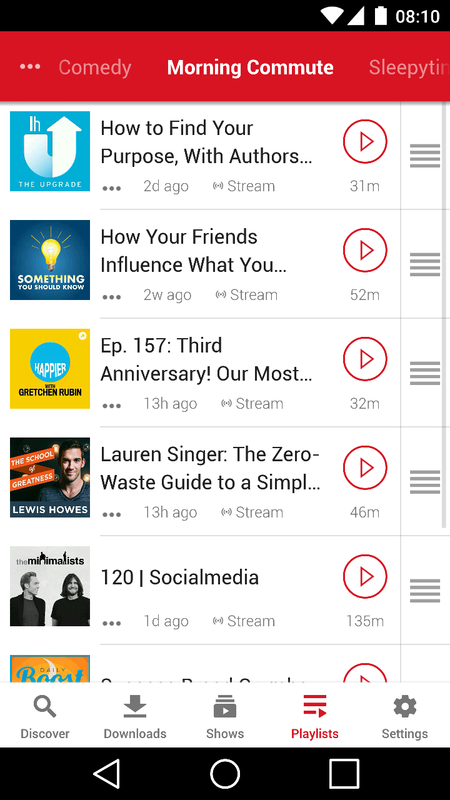 Add your favorite pods to as many playlists as you like and sync them with your account. Add a description to know what's inside, make them visible to your eyes only, and choose your auto-download preferences. It's easy to set up a playlist for permanent favorites and another one as a "TODO list" queue of shows you want to get to. You can also tell the playlist to ignore play positions, useful for content you always want to play from the start, e.g. music, prayers, meditation. Found a cool show at work? Push it to your playlist on the web app and it will pop up when you use your phone later on. Can I make my playlists public? 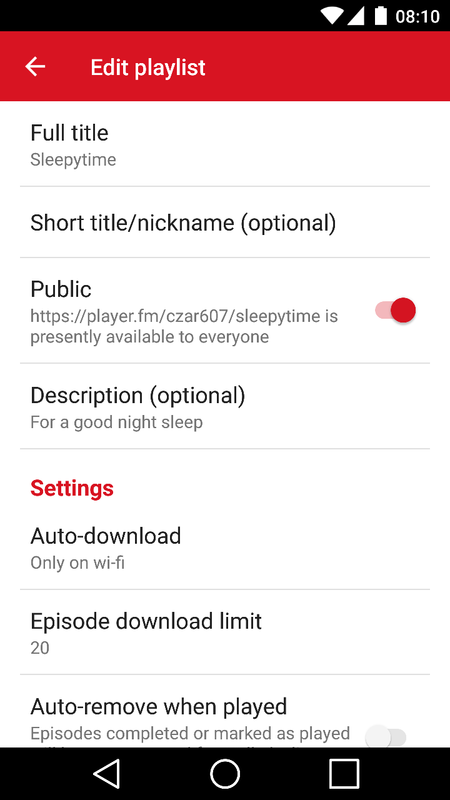 Playlists are public by default, but you can set them to private in their respective settings screens. A public playlist will be available for others to open in the app when you share the URL. If they don't have the app installed, it will also be available on the web for all.